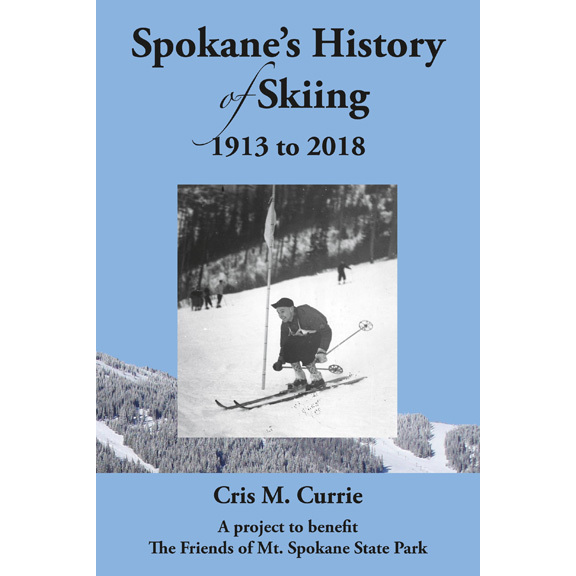 Spokane’s History of Skiing covers a fascinating aspect of Pacific Northwest history that illuminates how, despite the near constant jockeying for power and influence, government and private entities can come together in a successful partnership for the benefit of the larger community. For over 100 years, people in Spokane, Washington have been learning to ski, creating facilities for skiers, and putting on events that showcase the sport for spectators and the curious. While Spokane has not yet developed a national or even a statewide reputation as a destination ski town, many of its early promoters definitely had that goal in mind, and many today believe Spokane to be a relatively unknown jewel. Several small ski areas within Spokane County have come and gone, but Mount Spokane has consistently entertained skiers since the early 1930s. Spokane’s History of Skiing covers a fascinating aspect of Pacific Northwest history that illuminates how, despite the near constant jockeying for power and influence, government and private entities can come together in a successful partnership for the benefit of the larger community. Seasoned skiers will be in awe of how it was all done in the old days, while non-skiers will receive a crash course in how modern downhill skiing split off from traditional cross-country skiing. All will gain a deeper understanding of the challenges of balancing recreational development with the preservation of our natural resources.